Here are the top 10 mental health posts to date. 4. Why can’t we forget the painful past? 5. Do therapists have to report a crime? 6. Is nicotine a stimulant or a depressant? 7. What is the difference between Depression and Major Depressive Disorder? 10. Which border is Borderline Intellectual Functioning on? 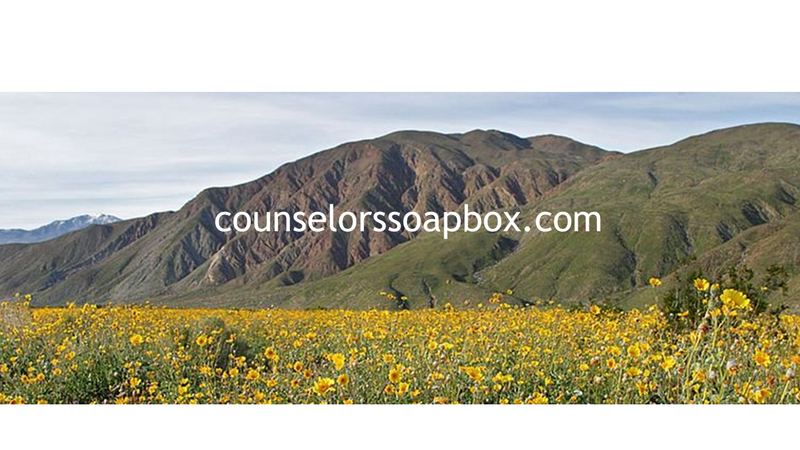 Thanks for all the support and encouragement you have shown for counselorssoapbox.com I appreciate all of you who read this blog. I especially want to thank those who leave comments and likes. This entry was posted in Books, Trainings and Classes, Co-Occurring Disorders, Counseling and Therapy and tagged Behavioral Health, Counseling, David Joel Miller, feelings emotions, Life Coaching, Mental illness, self-esteem, Therapy, work by David Joel Miller. Bookmark the permalink.